Auction is up - includes several black jerseys and as far as I can tell so far only matte maroon and gloss maroon helmets. Seems to only go 5 days so shorter turnaround than previous years. Any TKP winners are encouraged to put up pictures! Got my Grandaddy a Sam Rogers White Out helmet one year. Sam is one of his all time favorite Hokies. We're family friends with some of his family friends so we were able to get Sam to sign it. It's probably his favorite possession. Very cool! Should put up a picture of the signed helmet! Helmets starting at $500. Too rich for my blood. That was my thought. Didn't the helmets start at $400 previously? Also, not as many helmets. It looks like just seniors? I guess we'll be wearing both maroon helmets in the fall. whats the end date and time? no point in bidding till then. ive been out bidded at the last second 2 years in a row now. 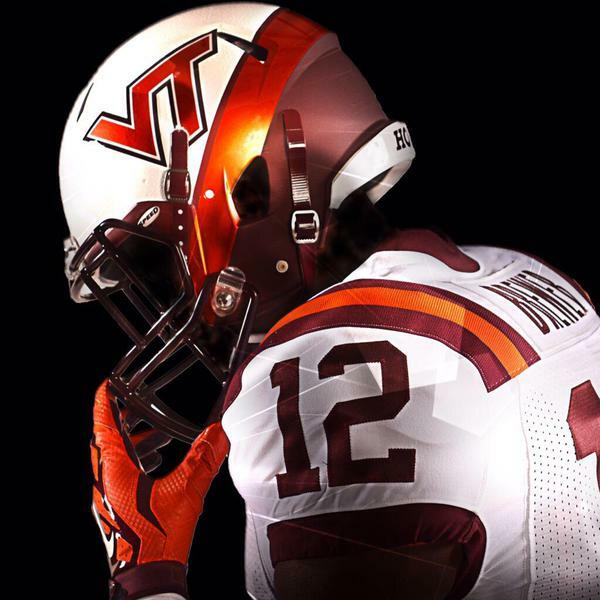 FYI - VT has a monthly surplus auction, sometimes including jerseys, helmets, etc. among other items if you're willing to drive to Blacksburg on the auction dates. Really? Football helmets and jerseys in there? Yep. I've picked up jerseys before as well as practice shirts, gloves, brand new cleats, etc. They publish a complete list of items prior to the auction. Did not realize sports items went in there. I'll check the list next week. Thanks! End of Summer, beginning of Winter and End of Spring are the best times to go. That is generally when the equipment room does their cleaning and needs to clear out items prior to the next season/year starts. I love that in the face of all the website redesigns vt.edu has gone through they still keep that 1997 tier gif on the surplus auction page. Thanks for posting. Every year, I say I'm going to pull the trigger and get a helmet, but with a wedding, honeymoon, bachelor weekend, and owing Uncle Sammy taxes this year, I may have to keep deferring. Was hoping this would stay hidden, found it a few days ago and hadn't seen it advertised anywhere. That 25 Jersey is going to go for a lot, what's funny though for that game it was worn by: Jerome Wright, not exactly a player most fans would remember. That game was also played in 2015...why have they kept these jerseys in the closet so long? Did they not meet the minimum bid in previous years? I don't recall ever seeing jerseys on this particular auction. The proceeds go to Herma's Readers so maybe someone donated them for this auction? The "25" went for over 900 anyone see the final price? We won the "27" AJ Hughes jersey. Oh my goodness! I was going to try to get one of the jerseys and I totally forgot. Think there will be more in the future since there were only a few this time? Anyone have a good recommendation for getting it displayed?